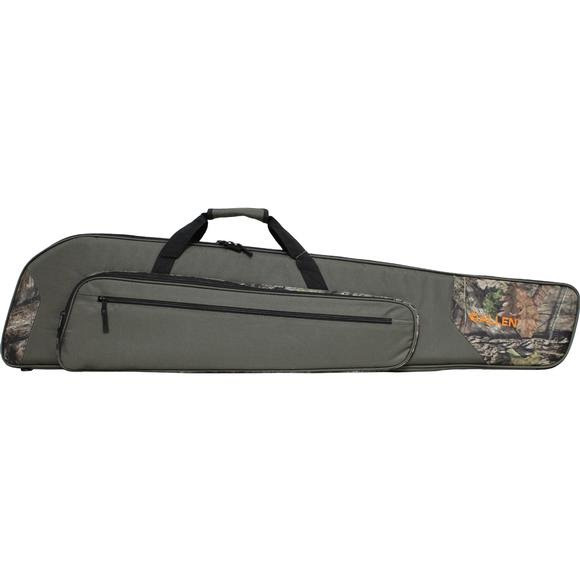 Rugged enough to take to the woods or just to the range, The Allen Co's Gunnison Wedge Tactical Rifle Case case fits scoped rifles up to 48 inches with or without bipods. Made from rugged Endura fabric, the case features multiple accessory pockets, a padded carry handle and open cell foam padding to protect your investment. Rugged enough to take to the woods or just to the range, The Allen Co &apos;s Gunnison Wedge Tactical Rifle Case case fits scoped rifles up to 48 inches with or without bipods. Made from rugged Endura fabric, the case features multiple accessory pockets, a padded carry handle and open cell foam padding to protect your investment. Measurements Fits Scoped Rifles with Bipods to 48"